These orphaned young raccoons are nearly ready to survive on their own. They are able to catch their own dinner! 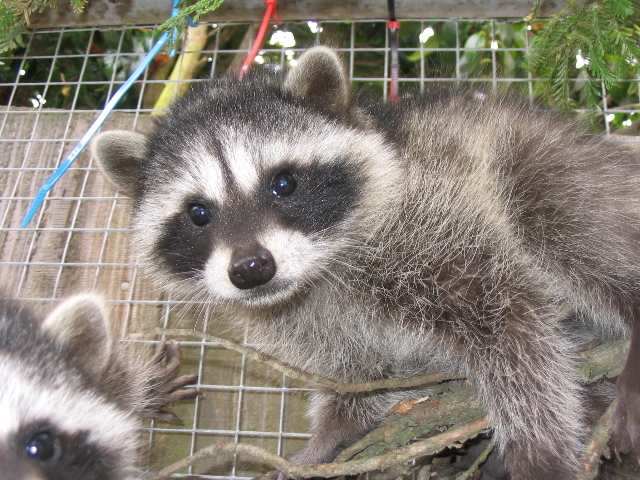 Raccoons must be able to catch mice and crayfish, find food hidden in their enclosure, and a pass other tests of skill and knowledge before they are released.